Statement is the term given to something that expresses facts and information either in writing, or verbally. Statements can be useful in different ways. Income statements, for instance, is a statement that expresses how a company performs financially. Statements are widely used in business in stating information about their operations. Financial statements, for example, are statements which records a company’s financial activities or everything relating to the financial status of a company or business. 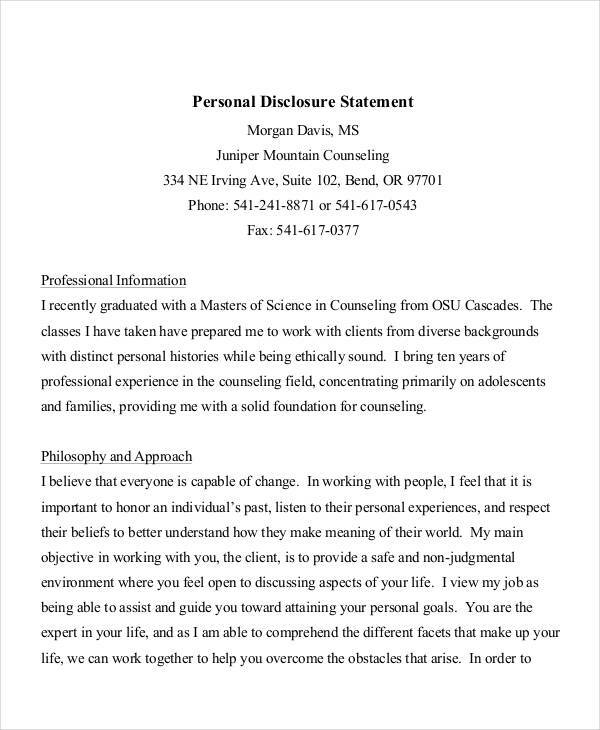 A disclosure statement is a document that discloses a detailed outline of the terms, conditions, rules, and standards of a transaction (e.g. financial transaction, such as loans or investments). For example, when a person applies for a loan application of any kind, the lender gives him/her a disclosure statement containing the details of the loan before the loan process is finalized. 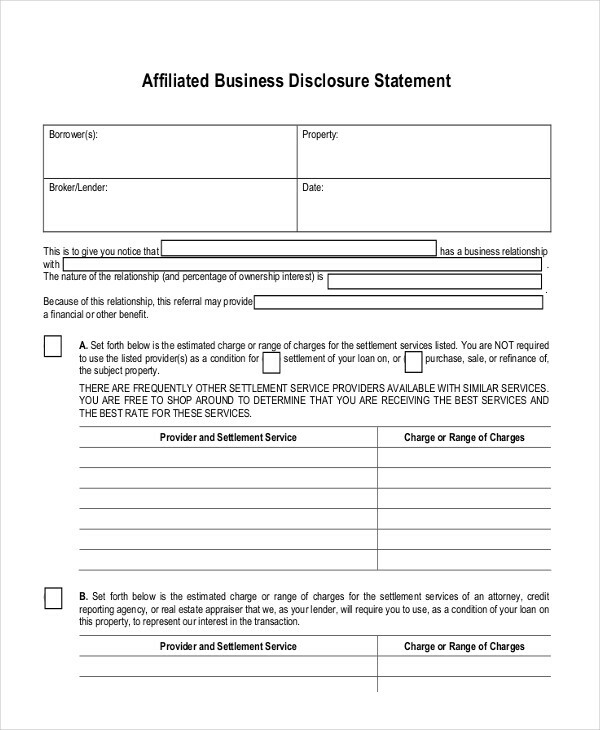 Why Is a Disclosure Statement Important? 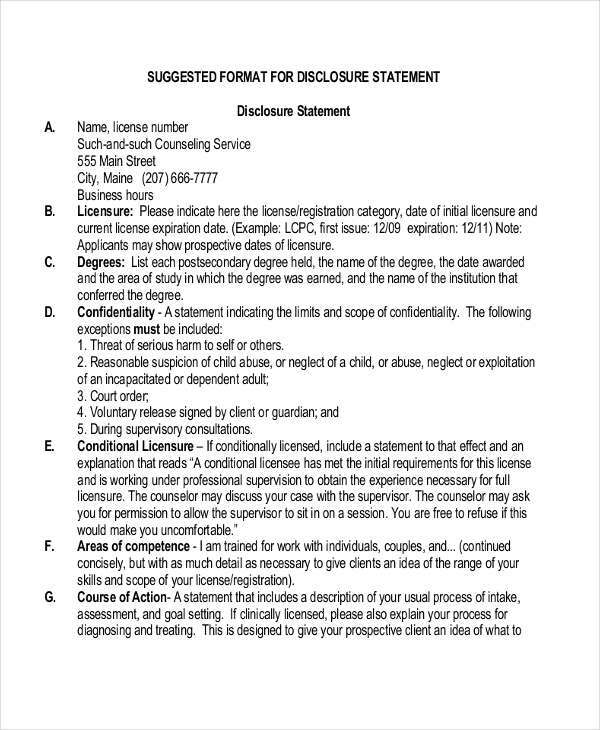 Disclosure statements usually contain information that are relevant to both the sender and receiver. 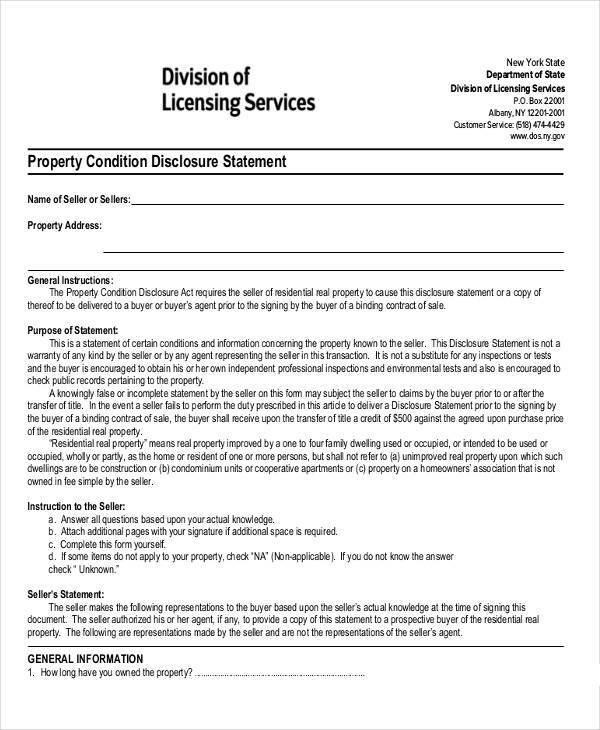 Disclosure statements explain all information about a business statement transaction or operation in full detail, including any issues or problems (of a property, for example). 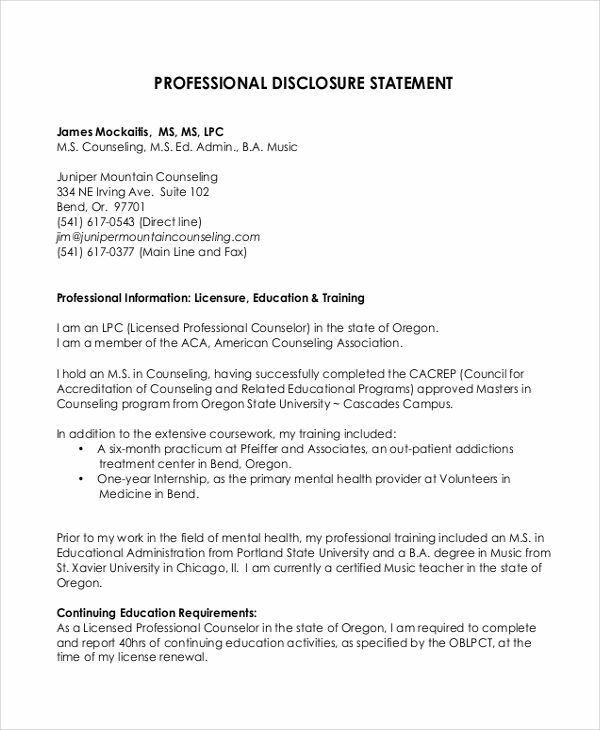 A disclosure statement contains everything the concerned parties (e.g. a borrower) needs to know about the transaction. Disclosure statements usually gives the receiving party a chance to review the details of the transaction, and to express his/her opinions, agreement or disagreement on the given terms, conditions, and other details. 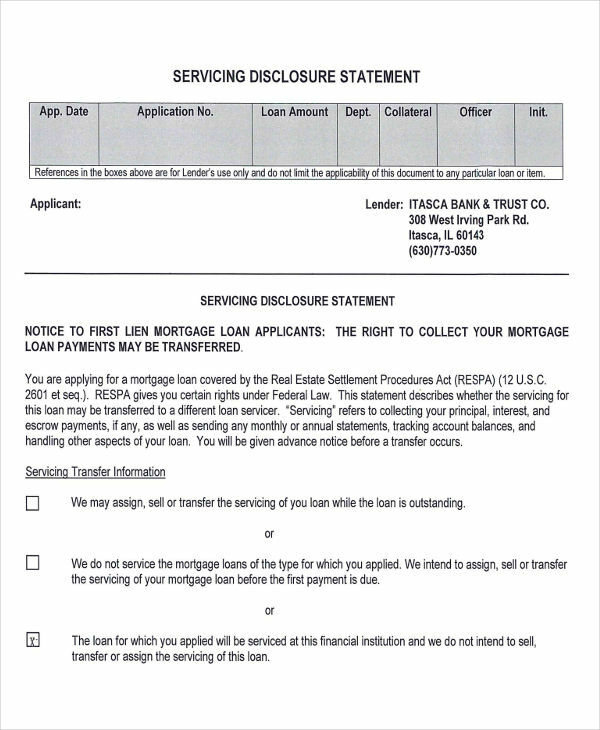 Disclosure statements also protect sellers or lenders from lawsuits from the buyers or borrowers. Do not exclude any information. Be honest. Include all the details of the transaction (especially financial ones) If you’re a seller and the property you sell have a few issues and problems to be considered, include them in your disclosure statement objective. This may be a hard thing to do since this may discourage your buyers, but at least you’re honest, and you’ll be able to avoid wasting your time on arguments and lawsuits. Write clearly. Use simple words in writing your income statement for disclosure. You need to make it understandable to your reader, so avoid using difficult words and vague phrases. Keep your sentences short and simple. 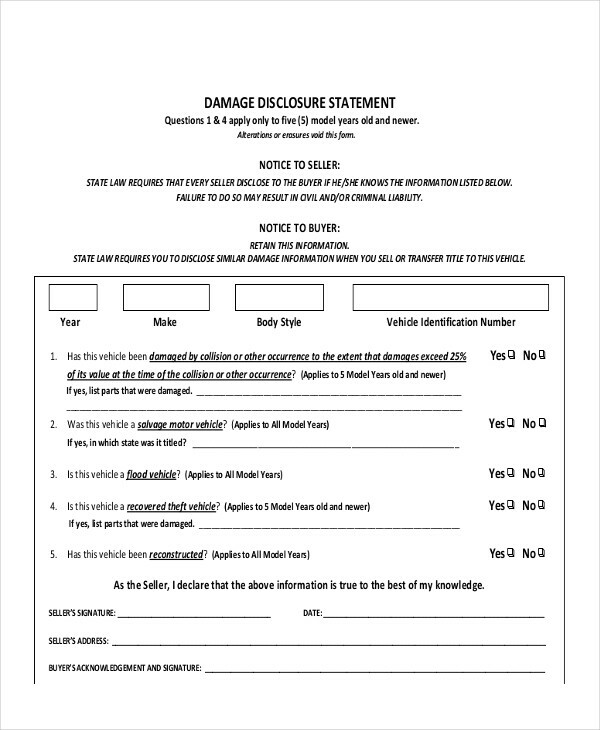 Attach necessary documents to your disclosure statement. Depending on the transaction, you need to attach necessary documents to support your disclosure statement. Review and revise. Before sending your disclosure statement, you need to review every information you included. Look for possible errors, and revise them. If possible, let someone else read your disclosure statement and ask them for opinions on how to improve the disclosure statement. 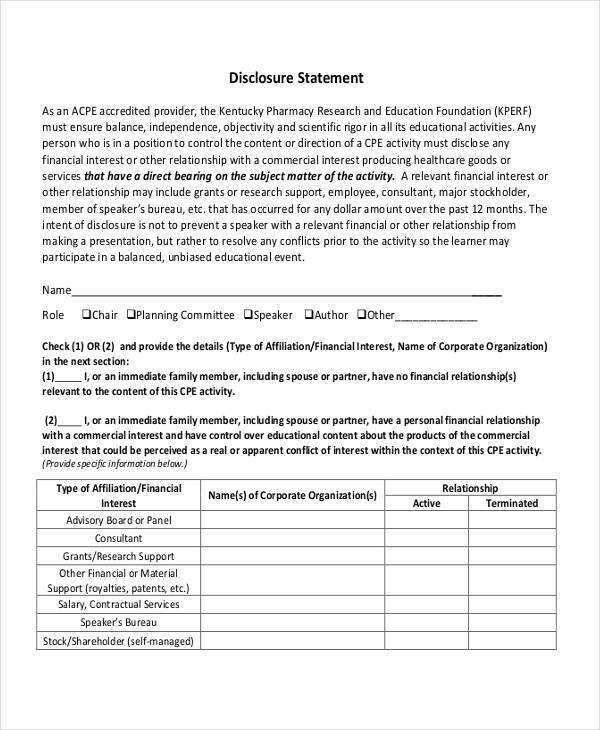 Your disclosure statement is just another document which records your agreement with the other party so make sure it discloses everything your receiver needs to know before sending it out.